Long range scanning is essential for the mapping and modeling of proposed implementation sites of telecommunication towers or telephone lines because it is a quick, accurate, and cost-efficient way to collect spatial data. 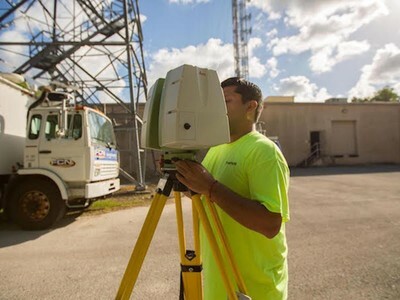 It is useful in finding ideal locations for telecommunication equipment (both the towers and paths), and its 3D modeling and topographical mapping abilities help to ensure that the infrastructure will work in relation to the rest of its environment. 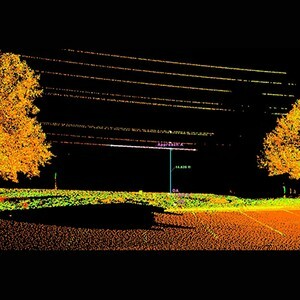 Additionally, even after successful telecommunication implementation, laser scanning is instrumental in troubleshooting and maintenance. 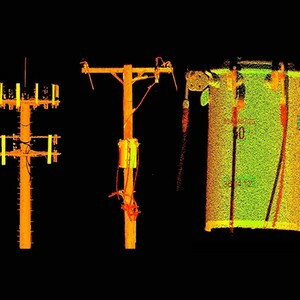 Laser scanning is capable of determining the size and position of antennas on cell towers without surveyors needing to gain access to the tower. The scans are done from the ground quickly and accurately. In addition, scanning can be used to produce an inventory of antennas / telecommunication equipment. It is safer and quicker and, therefore, more cost-efficient. TruePoint can capture high resolution data on transmission and telecommunications towers, including the transformer serial number in this case. 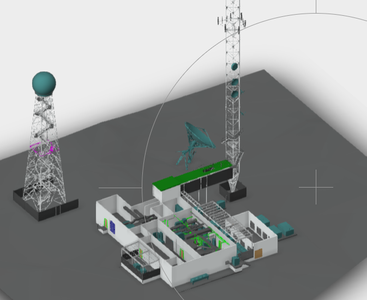 TruePoint can provide laser scan data of transmitter facilities showing towers, guy wires, antennas, satellite dishes and interior space. 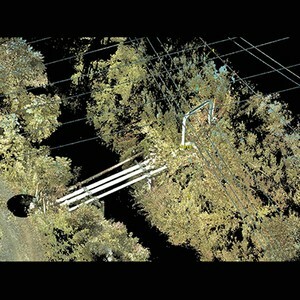 TruePoint can calculate the absolute minimum clearance of power lines safely and easily from the ground. 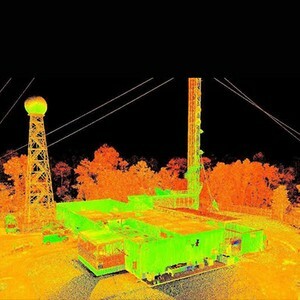 TruePoint can capture overhead clearances of transmission and telecommunications towers and lines – which can be used for TERPS Analysis (FAA airplane clearances, etc. ), construction and crane clearances, etc. TruePoint can accurately calculate data on transmission and telecommunications towers safely from the ground, often times remaining outside fenced areas. 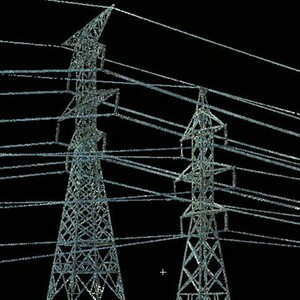 TruePoint can create 3D models of existing transmission stations to plan design changes.